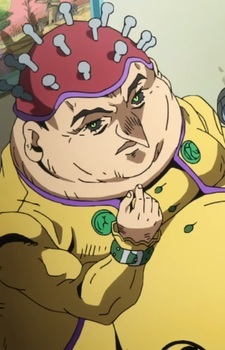 Polpo is a minor character featured in Part V: Vento Aureo. Polpo is first seen serving fifteen years in prison when Giorno Giovanna mentions that he wants to join Passione. His means of initiation into Passione is keeping a flame lit for 24 hours; with that, he gives Giorno the lighter.